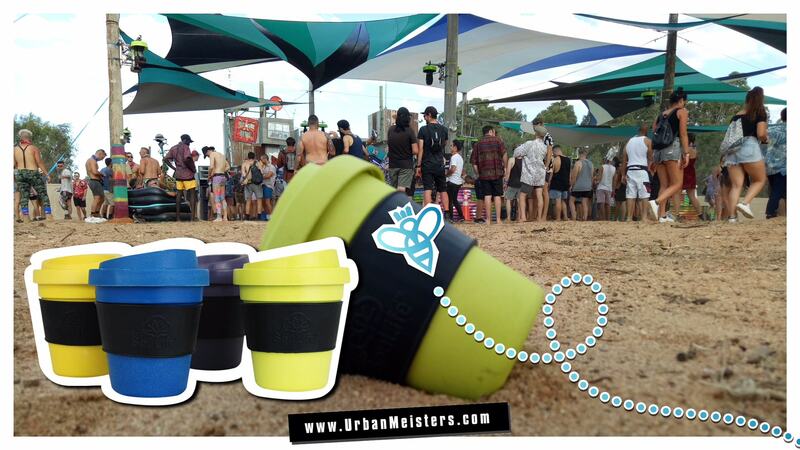 Attend music festivals & leave a greener footprint by going Zero waste! Some of the biggest music festivals – from Coachella (USA) in April, to Calvi On The Rocks (Corsica) Tomorrowland (Amsterdam) & Yacht Week (Croatia) in July, Ozora (Hungary) in July-August, and The Burning Man (USA) in September – are a big part of people’s travel goals. Music festivals happen in almost every corner of the globe all year round. But they aren’t just about music. They are all about the experience. Stage set up, camping, staying, conveyance to festival grounds, water, food is all part of the event. Add to that the crowd size that attends these (with number of attendees running into 6 figures for the big festivals), it doesn’t take much to connect the dots. With so many people drinking in plastic cups, eating food in disposable plates, using bottled water and even commuting to and fro from their stay locations, the whole event can be an environmental nightmare and waste generator. However with sustainable living gaining traction, music festivals around the world are trying to be more conscious in their event organisation. 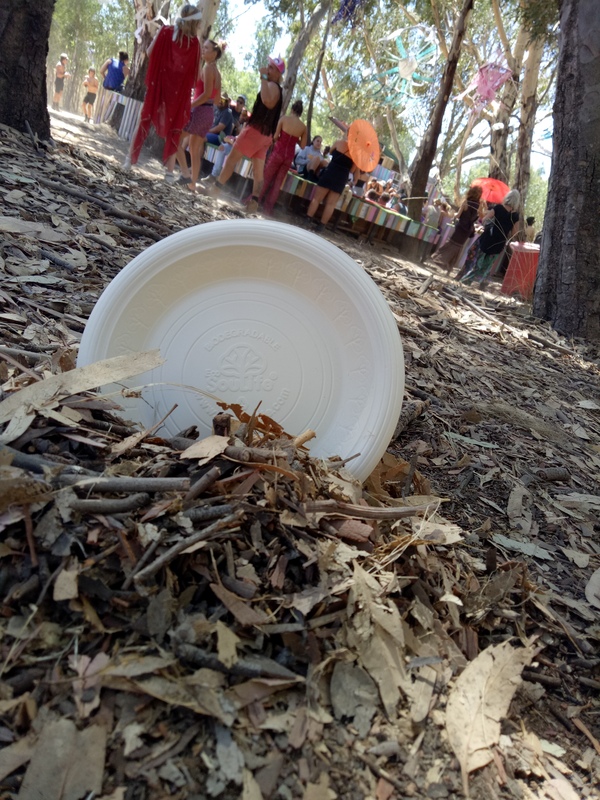 Not just festival organisers, even us attendees can take care of little details & try and follow zero waste tips to keep our festival footprint green. 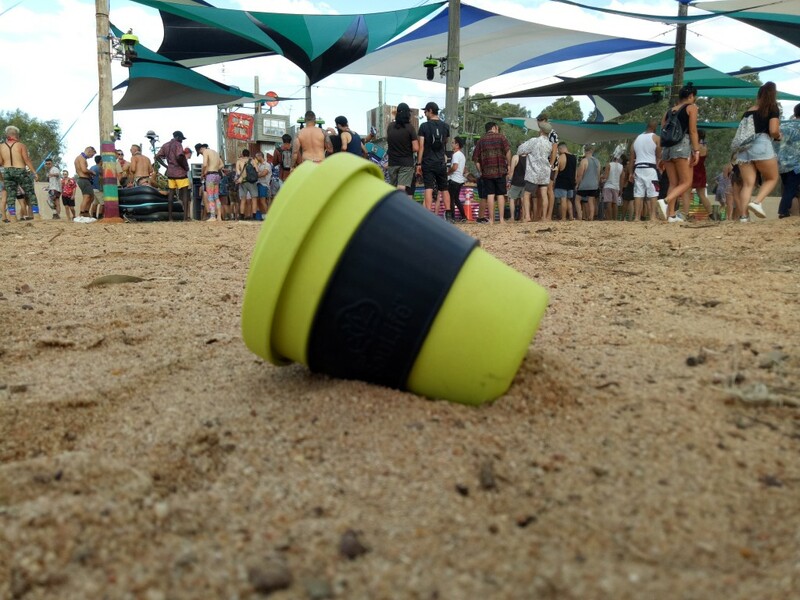 Leaving a greener festival footprint – the Zero waste way! 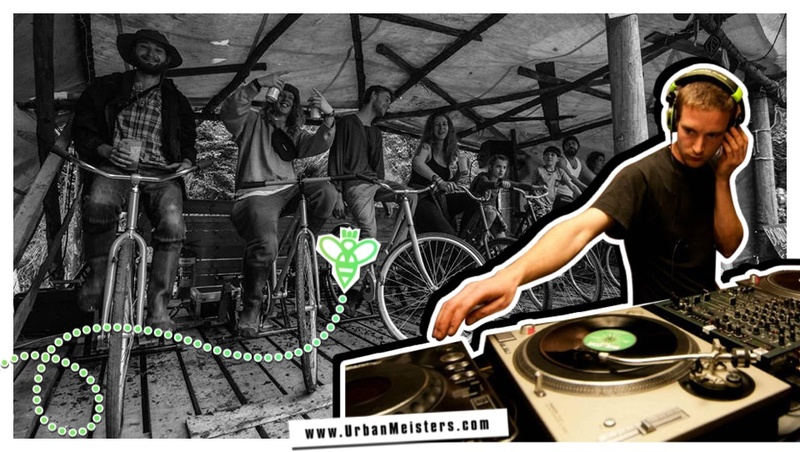 We have already featured an interesting green sound system setup, Bike Power, which uses people pedalling bikes to provide power to DJ sets at music fests. In this green festival read, we feature green blogger Crispino Santamaria who attended the Babylon music festival held a little distance from Melbourne, Australia. He is the marketing & social media coordinator of a green product we have featured Eco Soulife. 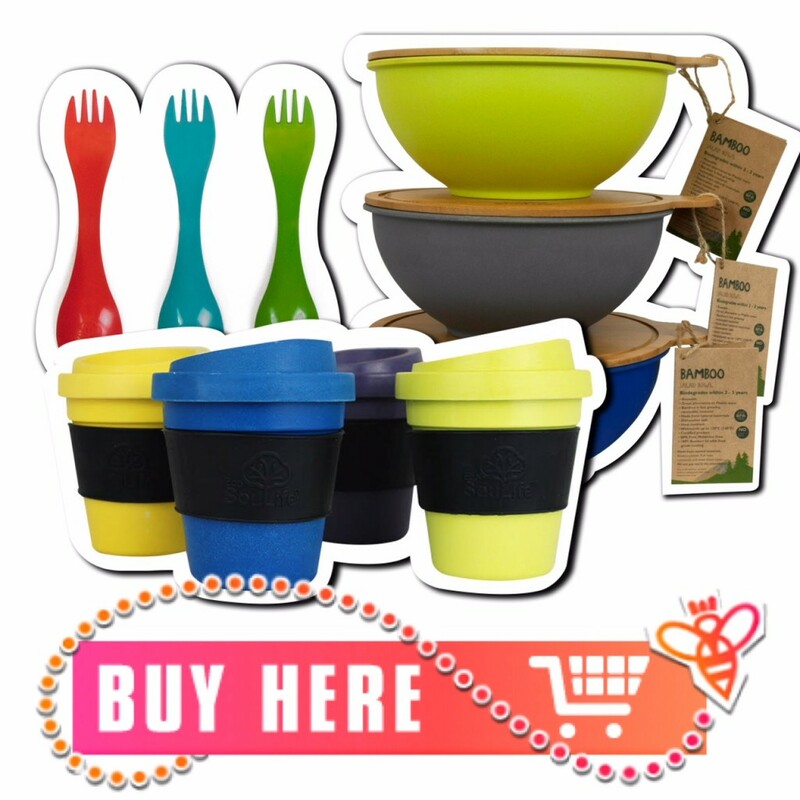 Eco Soulife is an award-winning Australian sustainable cutlery alternatives to disposables, tried and tested by UrbanMeister and Guest Columnist Jessica Burgess. They were one of the goodie-festival-bag sponsors at the Babylon festival. Crispino decided to visit the event and share his thoughts on the sustainable aspect and eco-friendly initiatives of the event. In a well documented article Cris has managed to cover all aspects of the event highlighting how we can make a change and contribute to reducing the overall carbon footprint produced at these festivals. 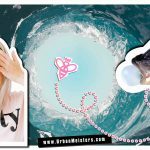 Crispino’s good, green and not-so-green music festival experience! Music festivals are an integral part of the Australian culture, over the years Australia has witnessed many music festivals that have captivated our imagination and entertained us. There is no doubt that Aussies love all genres of music and don’t miss out on the opportunity to indulge in art and culture. 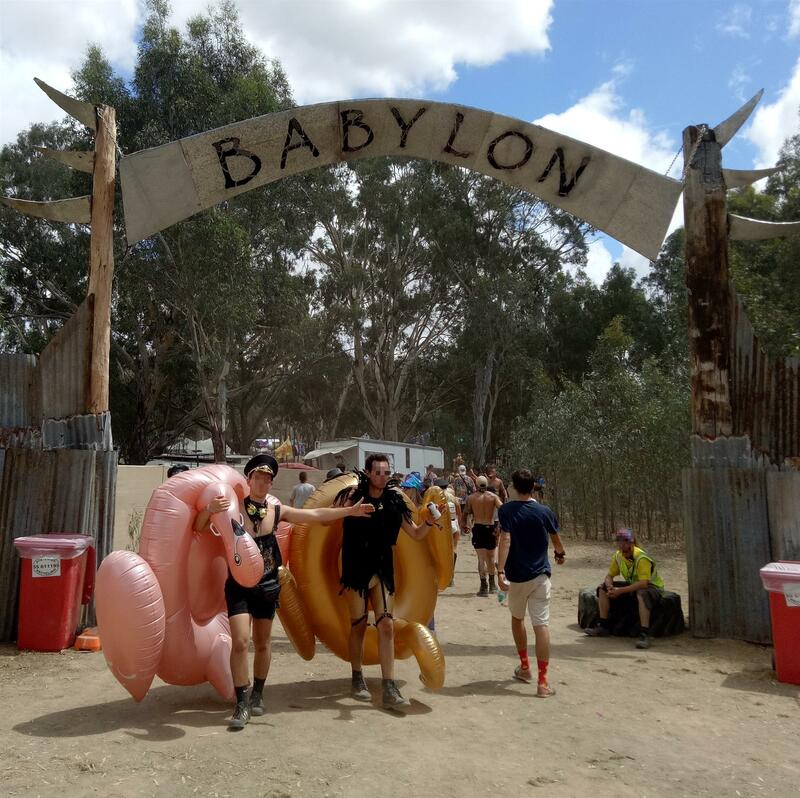 Amongst the big names for music festivals such as Rainbow serpent, Pitch, Falls festival and Earthcore Melbourne witnessed the birth of Babylon in 2017. A bush doof roughly two and a half to three hours away from Melbourne CBD in Carapooee West was the hotspot to be in come Feb 23rd-25th 2018. Babylon is comparatively a small music festival when you compare it to the other giants in the Music festival industry. None the less their sustainable initiatives and love for the environment was no less and clearly visible. I decided to embark on a journey and explore the enchanting experience the festival had to offer. Coming from the marketing industry and with love for the environment at my core; I wanted to witness the cultural, spiritual and environmental aspect of this event. Some of the things I tried was hopping on the festival transportation bus called The Banana Bus. I also carried my own Eco Soulife Bio Sip Cup made from bamboo, biodegradable cornstarch plates & mugs for my drinks. Besides this the festival had a few initiatives too like rewarding people who collected cigarette butts and having a volunteers’ team to collect waste from festival grounds. They also had recycle bins through the camp site. The Sustainability Initiatives page on their website talks more about all the green initiatives taken by Babylon to ensure they maintained and preserved the beauty of Victoria. Like using eco-friendly glitter (yes! 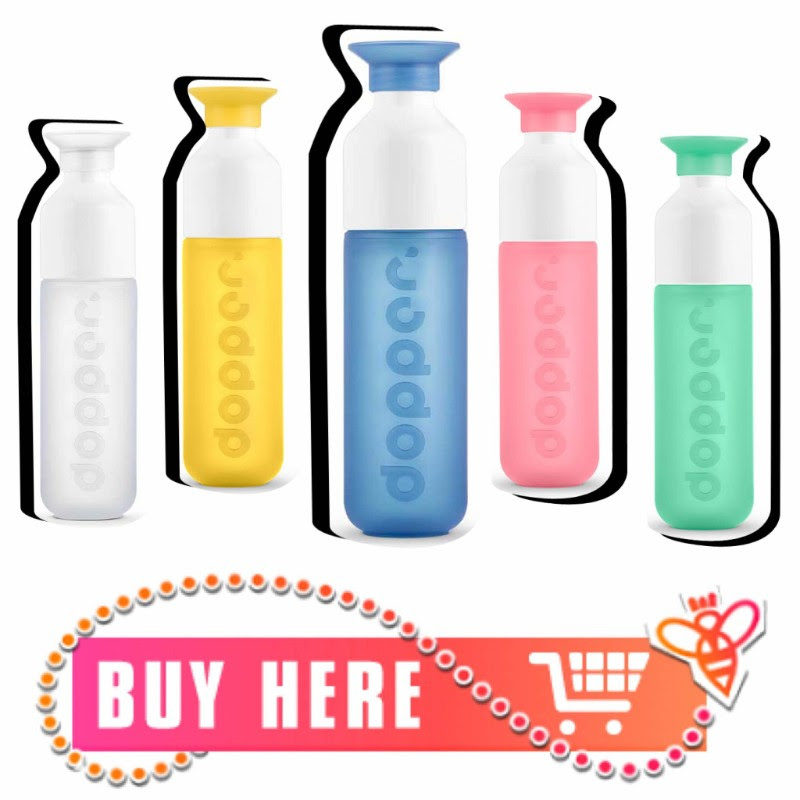 that’s a thing too), encouraging you to carry your own reusable bottles and more. To read the full article & tips of how you can do a festival the green way, click here. 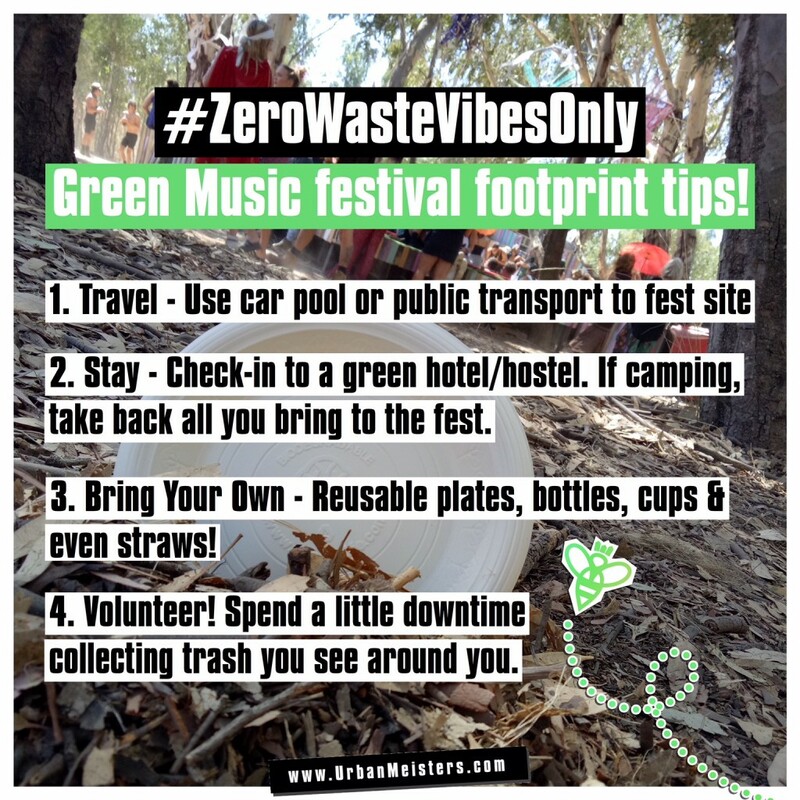 Some zero waste festival footprint tips for you music festival lovers! 1. Travel to the music festival as green as possible. Use car pool, public transport as much as possible. 2. Stay sustainable. If you are staying away from festival accommodation, try and stay in a hotel with green initiatives. 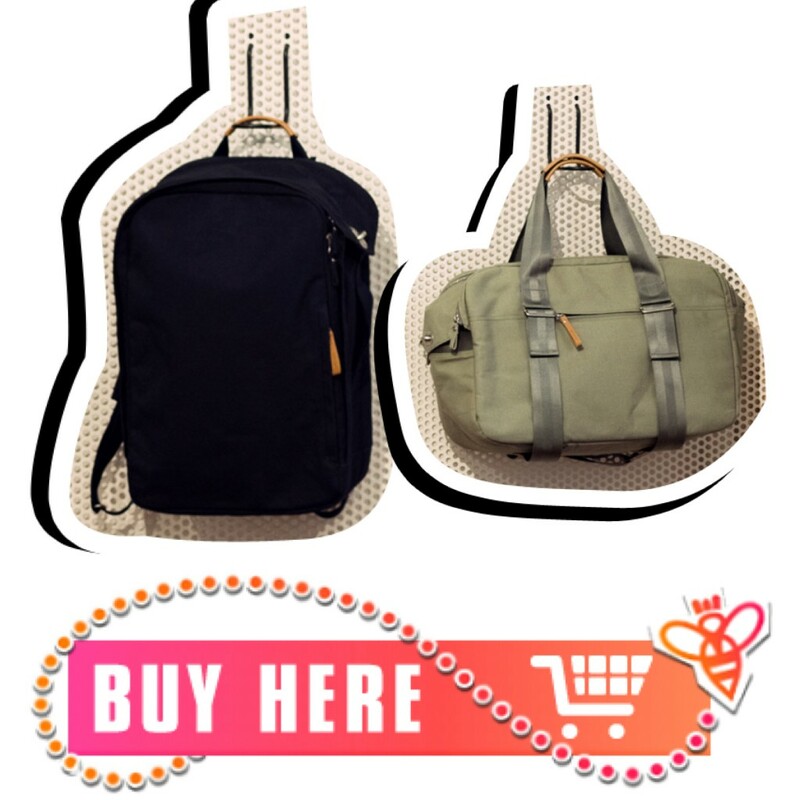 If staying at festival grounds, travel light and take back all you bring to the festival. 3. Enjoy green. Bring your own reusable plates, bottles, cups and even straws! Yes! Straws are the new cigarettes, plus they are the top plastic waste item in any coastal cleanup. 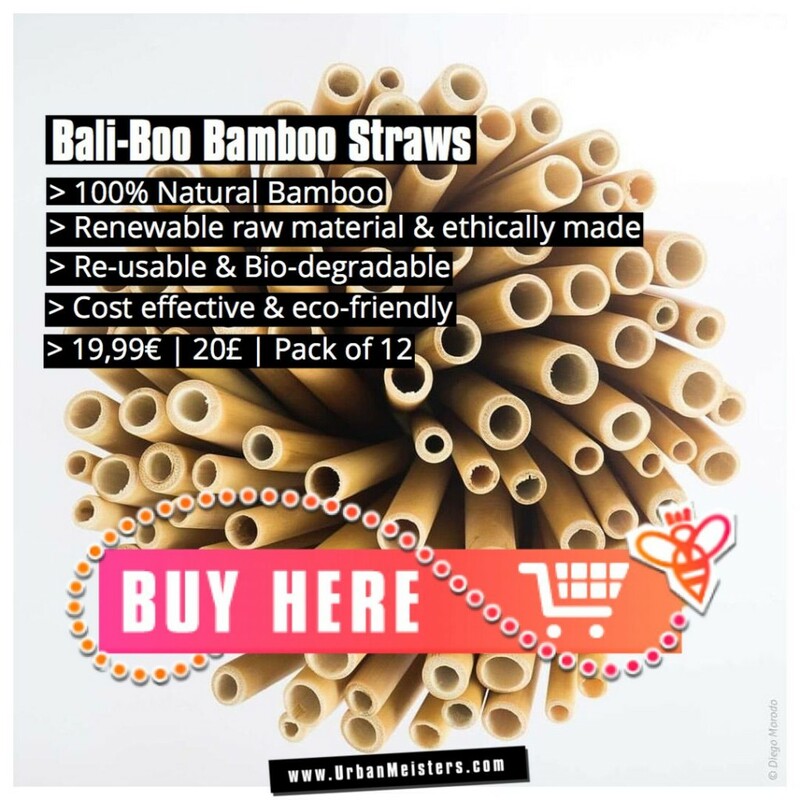 So get reusable straws and et al and say no to single-use plastic. 4. Volunteer! Whether a festival has a volunteer program or not. Spend a little downtime to collect trash you see around you and direct it to waste bins.